These are such little bites of goodness! 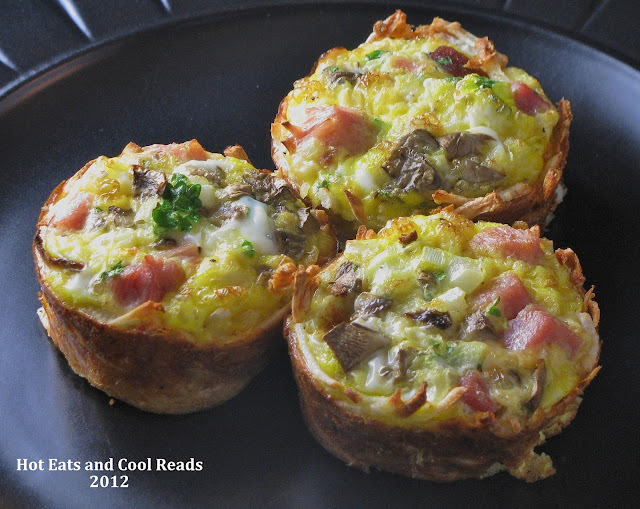 Great for freezing or reheating for a quick breakfast. I am all for eating breakfast at dinnertime. I don't usually have time to make it in the mornings on weekdays, and like to sleep in on the weekend, so we do something quick most mornings, and periodically make it for dinner instead! These little cheesy hashbrown cups are delicious when you bake the egg mixture inside. They are easy to make and you can always change the meat, cheese or veggies depending on what you have on hand. This is one recipe the whole family will love! Preheat oven to 400 degrees. Grease each cup in a muffin pan with olive oil or butter. In a bowl, combine thawed hashbrowns, cheddar, salt and pepper. Pat hashbrown and cheese mixture in each muffin cup, covering the bottom and sides, leaving center open for the egg mixture. Bake for 15 minutes or until lightly browned. Remove from the oven and reduce oven temp to 350 degrees. While hashbrowns are baking, beat eggs, milk, salt and pepper in a bowl until combined. Add ham, mushrooms, onions and parsley and mix. Spoon egg mixture into each hashbrown cup and bake for another 15-20 minutes or until eggs are set. Did you enjoy this post? Follow the Hot Eats and Cool Reads board on Pinterest here! Oh yum! I'm craving these right now! What a great idea! Thanks for sharing at Breakfast Ideas Mondays! Thank you!! So glad I could share and thanks for hosting! I love the portion control and presentation of these individual cups. Please share this on my foodie friday party today. 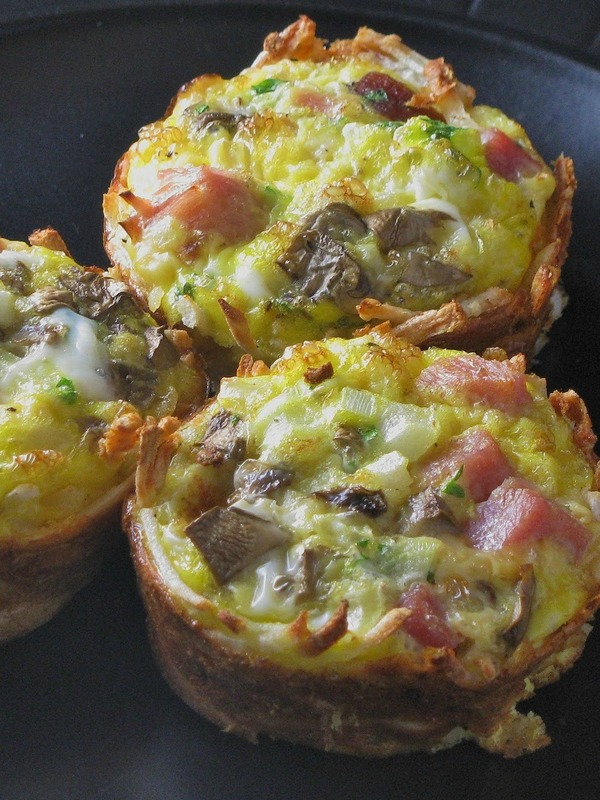 Your Ham and Eggs in Hashbrown cups look so delicious. This will be a perfect dish for our holiday brunch. Hope you have a special week end and thank you so much for sharing with Full Plate Thursday. They are great! Thanks so much!! Yumm! Hi Sheena, thanks for sharing a yummy, easy recipe. I will definitely try them out. I found you through Blog-Train. Your welcome!! I'm glad you stopped by and I will stop through soon! I'm getting ready to post a similar recipe...minus the crust. I LOVE this idea - these are a great little dish to make ahead and rewarm too. Terrific idea! Thanks so much for linking up at Weekend Potluck. Thanks so much for hosting Michelle! 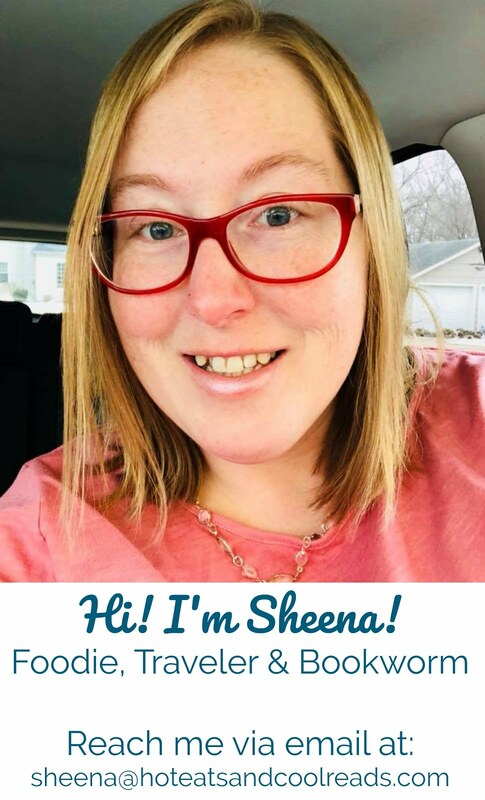 Congrats Sheena on having the recipe with the most clicks at last Weeks Potluck. Well deserved! These little hashbrown and egg cups will definitely be added into my family's breakfast rotation! Thanks so much for being such a faithful participant! Thanks Barbara!! So glad you stopped by!! Glad to have you here! I'm always on the search for new breakfast recipes. This sounds easy and yummy! I bet my kiddos would love these! Hi there. This week's Food on Friday is all about ham. So it would be great if you linked this in. This is the link . Have a good week. This would be good to make for breakfast on Sunday morning. Then you could have an easy grab and go breakfast for a couple mornings during the week. Thanks for sharing this. Now I have another tasty breakfast idea! Not sure if you're answering questions on this since it's an old post, but could you make the hashbrown portion of these the night before and then do the egg portion in the morning? Or if you made them the day before, how would you recommend reheating? omg, this is too funny. I totally just made these for dinner - but turkey bacon and cheese!!! I have a post going live either this or next week with them. :) YUM! Can I freeze these? Or how long could you keep them in the fridge? I think freezing them would be a great idea! Otherwise, I'd keep them in the refrigerator for 3-4 days.